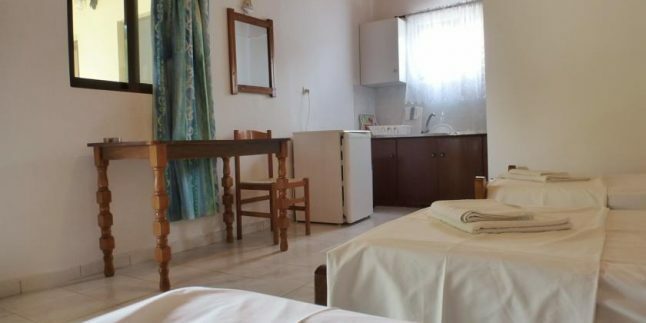 Featuring panoramic views of the sea and surrounding countryside, Anastasia Rooms offers self-catering accommodation located 500 metres from Plati Beach. Tavernas and minimarkets can be found within a 10-minute walk. Free WiFi access is available. The studios will provide you with a TV, air conditioning and a terrace. There is a fully equipped kitchenette with a refrigerator and kitchenware. The private bathroom has a shower. You can also enjoy a sea and garden view. At Anastasia Rooms you will find a garden, barbecue facilities and a terrace. Myrina Town is 2 km away and Lemnos International Airport is 25 minutes’ drive away. The property offers free parking.